An oil spill in your home could be caused by a home heating oil tank leak, an oil fired boiler leak or maybe some broken piece of pipework. 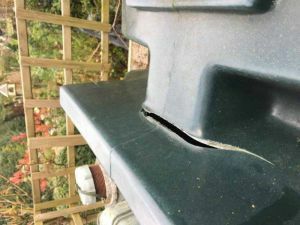 The resulting damage can cause major disruption to your home and family life. If ignored this could have major implications on the Health & Safety of you and your family. It is for this reason that oil spill damage should be swiftly and professionally assessed with appropriate professional action taken. This will reduce the damage your home may suffer from the oil leak. As a highly experienced oil spill clean-up company, we have a network of specialist “Oil Spill Insurance Loss Assessors”. They can manage your Oil Tank Leak Insurance Claim from start to finish. As specialist oil spill insurance assessors, they have an in-depth knowledge of oil spill insurance coverage. Meet the insurance company’s loss adjuster at your home where the the oil leak occurred. Quantify and cost all the associated oil leak damage. Arrange alternative accommodation cover if necessary. Ensure you get your maximum pay out entitlement under the terms of your home insurance policy. We estimate that our team of oil spill insurance assessors handle and manage more oil spill property insurance claims than any other environmental consultancy in Ireland – A great reason to choose Nationwide Oil Leaks. How & why can oil tanks leak? 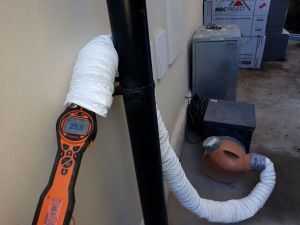 The equipment connected to the tank such as fuel feed pipes, valves, gauges etc could be damaged. By following some basic rules you can minimise the risk of an oil spill in your home. Your tank and fittings should be well maintained.Check your oil tank at least twice a year for signs of cracking or splitting. When your tank is filled ensure correct filling/no spillage and no damage is caused by the oil supplier. Note if the level of oil in your tank drops suddenly, or if your boiler starts cutting-out. Obtain a domestic oil spill kit for use in emergencies. put a container under the leak to stop additional oil escaping. use a leak sealing putty from your oil spill kit to cover the leaking area, ensure rubber gloves are worn to protect your skin. It is important to note that these steps are only temporary measures to reducet he flow of oil from the leak.